Dim. cm. 72 x 72 x h. 72. 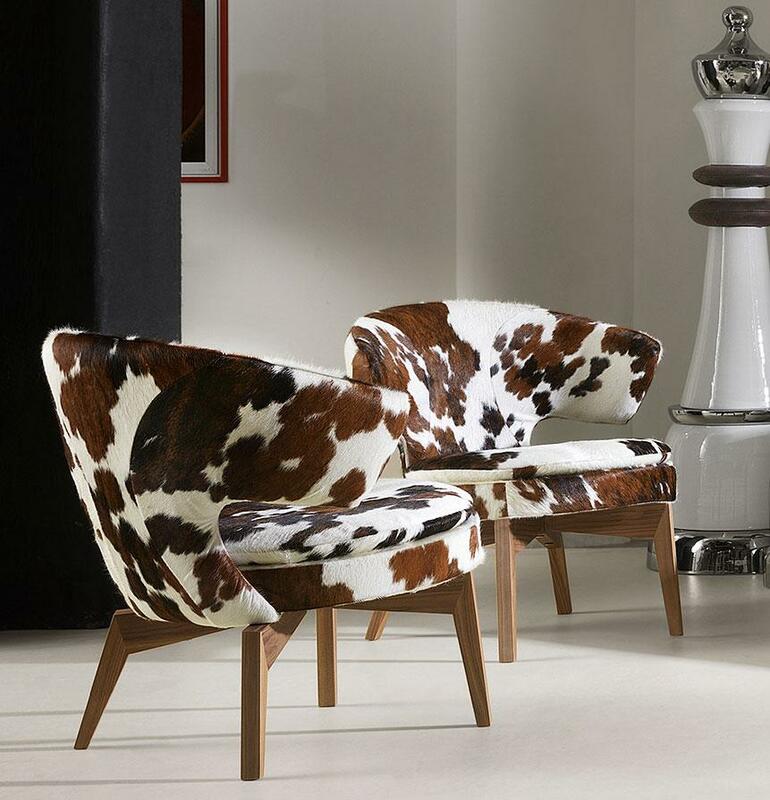 The wonderful Larissa armchair in Pony leather is made with metal frame and multi-layer wood seat. Seat depth is 57 cm., seat height is 43 cm. Overall dimensions are: L 72 x W 72 x H 72 cm. 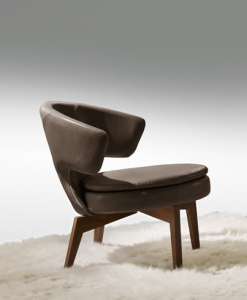 Backrest shape makes Larissa a “wing chair” with a strong personality. 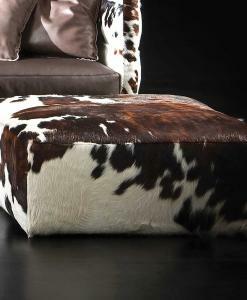 Seat cushion and backrest are padded with polyurethane covered with wadding. The base is made of walnut. We can realize the base also in chrome, dark chrome-titanium or painted metal or in wood (walnut or ash). 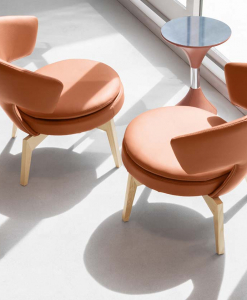 Larissa is a high-end armchair, a 100% made in Italy object designed for the most demanding people, looking for a really exceptional object. 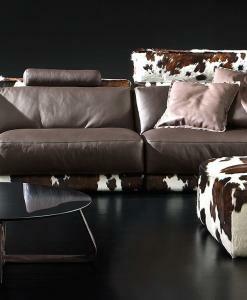 We propose the armchair here covered with Pony (white, black and brown hairy cowhide) leather. 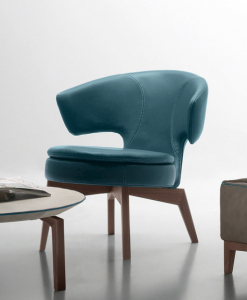 Of course, the armchair can be realized with all colours available in our collection. Please see covering leather samples on this page and contact us directly at info@italydreamdesign.com or call us at +393477960415 to create the custom-made sofa of your dreams. We are ready to send you leather samples to let you check material quality colour shade. 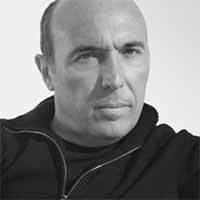 Giuseppe Viganò is involved in the industrial design of furniture products and in stage-managing of companies in the sector. 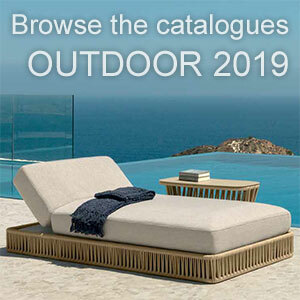 He provides graphic advice for the production of catalogues directly supervising the photograph, the layout, the communication and the advertising pages. 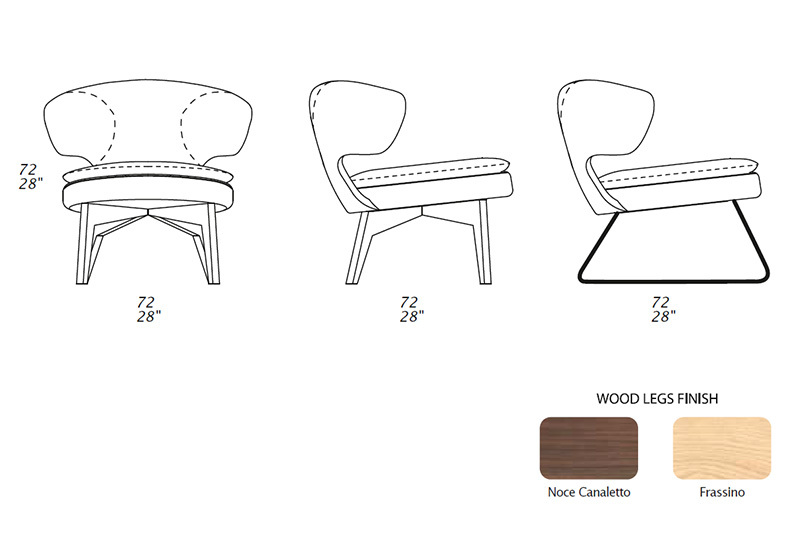 He plans designs exhibitions and furniture stores or temporary spaces for specific events. 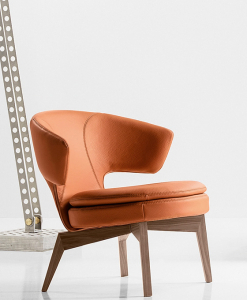 Often the experimentation or the use of a new material becomes a starting point for the conception not only of a product but of an entire collection. The search for references that come from the world of art, fashion and poetry are an opportunity to get closer to the project in a transversal way. Many of his most renowned products are born from a pictorial concept or glamorous detail, while other times are poetic gestures to create intriguing shapes that then develop into new proposals. 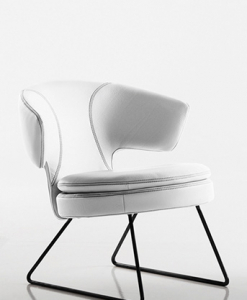 He has worked with major companies such as Arflex, Bonacina Pierantonio, Bonaldo, Visonnaire, Arketipo, CIA International, Cogliati & Cogliati, Confalonieri, Matteo Grassi, Emmemobili, Estel, F.lli Longhi, Frihetto, Gamma International, Horus, Ivano Redaelli, Lema, Minotti, Misuraemme, Poliform, Porada, Saba Italia, Rivolta e la pelle, Tappeti Artexa, Tisettanta.